This is loveable Loki. he is nearly 2 years old . is a short haired ...chug... . chichuahua cross pug. his mum is a pug . his dad is a micro chichuahua. he is very friendly. playful . great around children. our son is 10 months old . he loves him. He is fully vaccinated . has recently had a health check. Here are a few pictures of him as a pup . a few of him today. 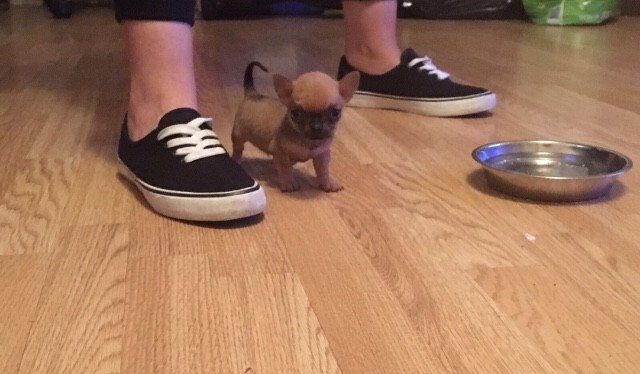 as you can see he is very tiny There is no fee as I would like a pup . for further details. questions. more pictures or even to come . meet him. please don..t hesitate to get in touch ..